The NFL stole all the headlines in the US this week. The first official day of free agency was Wednesday and there were plenty of moves made official, but there were several more that popped up and surprised some people. In the meantime, the MLB season is crawling to the open and the NHL is roaring to its finish. While a lot of what would happen in NFL free agency was known, the first official days of the signing period were full of surprises. Le'Veon Bell finally found a home, but it was with the New York Jets which was somewhat unexpected. Earl Thomas signed with the Baltimore Ravens after the team released Eric Weddle. Tyrann Mathieu went to the Kansas City Chiefs and Anthony Barr and Teddy Bridgewater could not make up their minds. Things still are not done as big names like Ronald Darby, Justin Houston and Eric Berry remain available. As crazy as the opening hours of free agency may have been, the trade market was even more bizarre. 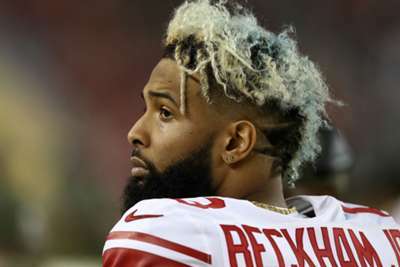 No move was weirder than the one the New York Giants made as they traded Odell Beckham Jr. to the Cleveland Browns just one year after signing him to a five-year, $90million deal. The move caught everyone off-guard and had Giants fans fuming. Beyond that though, the Antonio Brown saga came to an end not once, but twice. First, last Friday, it looked like Brown had been traded to the Buffalo Bills. Then the wide receiver reportedly nixed the deal and it fell through. Then on Saturday he was officially dealt to the Oakland Raiders. He got his career off to an interesting start as well as he showed up to his introductory news conference some 25 minutes late. He is going to have a lot of fun with Jon Gruden. This is why you do not draft your fantasy team further than a week out from the season. Several prominent names have gone down, especially on the pitching side, before the season has even begun. St Louis Cardinals starter Carlos Martinez is likely to start the season on the injured list while Dodgers ace Clayton Kershaw still is not throwing at full strength. Also in Los Angeles, potential Angels opening-day starter Andrew Heaney has been shut down. All of this happens soon after Yankees ace Luis Severino was scratched before a start last week and likely will not start the season in New York's rotation. The list of walking wounded keeps growing in MLB and the season does not start officially until next week. Oklahoma City Thunder star Russell Westbrook is not the best player in the world with fans, but by all accounts, what happened this week in Utah was not on him. While Westbrook was fined for yelling at a fan, "I'll f*** you up," upon review of the incident the spectator was clearly out of line and subsequently banned for life from Vivint Smart Arena by the Jazz. "Racism and hate speech hurts us all, and this is not the first time something like this has happened in our arena," Jazz guard Donovan Mitchell said in a statement. "The Utah that I have come to love is welcoming and inclusive and last night's incident is not indicative of our fanbase. We don't want to create a negative reputation for athletes who potentially may want to come to Utah." The NHL season is coming to an end and this is shaping up to be a good close to the campaign, but as that is going on, several players are checking off career milestones as they go. In fact, two players hit serious marks this week in the same game as Penguins forward Evgeni Malkin tallied his 1,000th career point and Capitals winger Alex Ovechkin got his 1,200th in Pittsburgh's 5-3 win over Washington on Tuesday.